BRISTOL, Tenn. (Feb. 5, 2018) - Bush Brothers & Company and Bristol Motor Speedway have extended their partnership featuring two old-school Tennessee institutions with a new three-year deal through 2020. The extension was announced earlier today at the official Bush's Beans Visitor's Center in Chestnut Hill, Tenn., featuring officials from Bush Brothers and BMS as well as Monster Energy NASCAR Cup Series driver Chris Buescher. The East Tennessee-based company will continue on as entitlement partner for Bush's Beans Pole Day in April and the Bush's Beans 150 in August. In addition to entitlement rights, Bush's Grillin' Beans® will be available at the Bush's Trackside Cafes at Gates 6 and 16 during both NASCAR race weekends. "We're looking forward to continuing this wonderful partnership with a fellow Tennessee icon," said Jerry Caldwell, executive vice president and general manager of Bristol Motor Speedway. 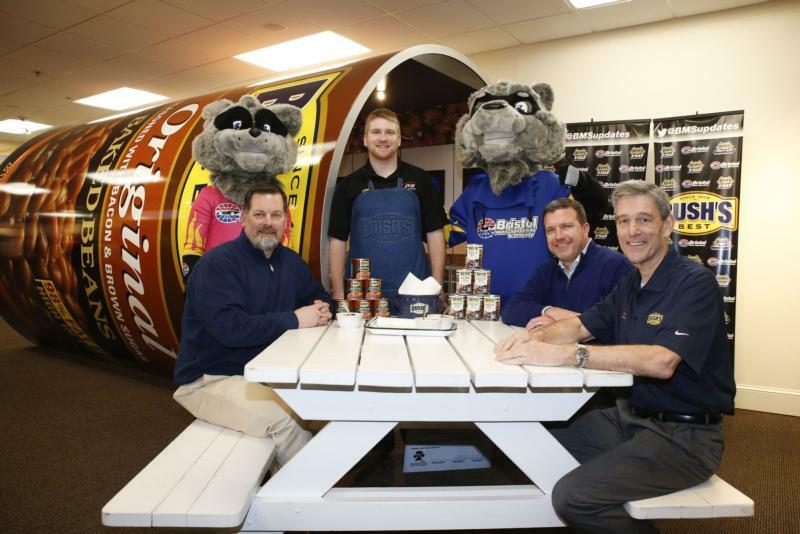 "Everyone at Bush Brothers & Company has truly become a member of the Bristol Motor Speedway family and we're thrilled to welcome them back, starting with Bush's Beans Pole Day on Friday, April 13." "Bush Brothers is excited to be a part of the thrilling community of Bristol," said Drew Everett, chairman of the board for Bush Brothers & Company. "Bristol is one of the greatest venues in sports and the entire Bristol team provide a unique experience for race fans. We are proud to join BMS in welcoming folks from around the world to our home of East Tennessee." Fans can purchase Bush's Beans Pole Day tickets for only $5. Bush's Beans Pole Day includes Food City 500 and Fitzgerald Glider Kits 300 practice as well as the popular knockout-style qualifying format for the Monster Energy NASCAR Cup Series. The evening will end with the fan-favorite Food City Family Race Night festival on property. The Bush's Beans 150, held during the Bass Pro Shops NRA Night Race week in August, is the second race of a NASCAR Camping World Truck Series/Whelen Modified Series doubleheader. Tickets start at $30 for general admission and $25 for season ticket holders. Buescher, who is entering his second season with JTG Daughtery Racing, will pilot the No. 37 Bush's Beans Chevrolet Camaro ZL 1 in the Food City 500 on Sunday, April 15. Fans can visit BristolTix.com or call (855) 580-5525.